Splore is filled with amazing creative talent from all walks of life. Some showcase the very essence of Splore by presenting us the beauty of the creative world and inspiring us to live out our dreams. Those that inspire us are standouts’ like Asia David, the Creative Director of the popular editorial, Bunch Magazine. 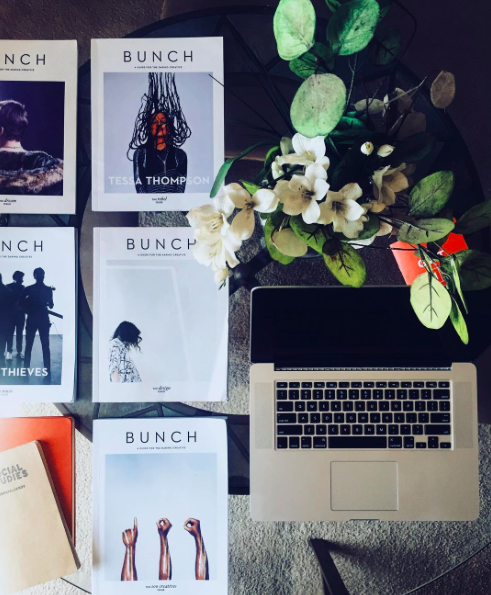 Bunch has grown in popularity due to it’s special inside knowledge into the world of creative entrepreneurs and extensive interviews with people who are making a difference from everywhere around the globe. But it’s the striking visual style of Bunch that especially gets everyone’s attention. The sleek minimalistic look and style came from the artistic mind of Asia. Asia is all-business when it comes to overseeing her creative team and making sure she is executing the vision of Bunch that she and Editor and Chief, Lizzy Okoro imagine. 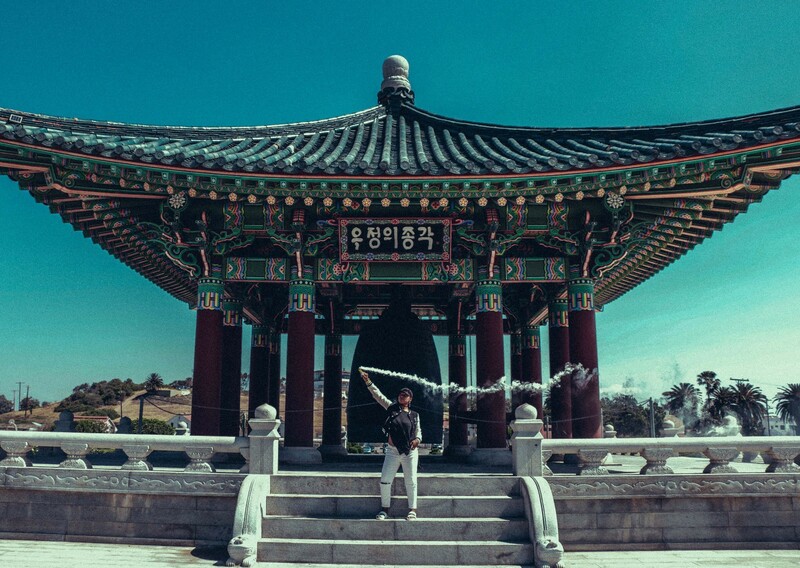 Our photoshoot with Asia was at the Korean Friendship Bell. It was the perfect place to showcase the slick vibe of Asia. 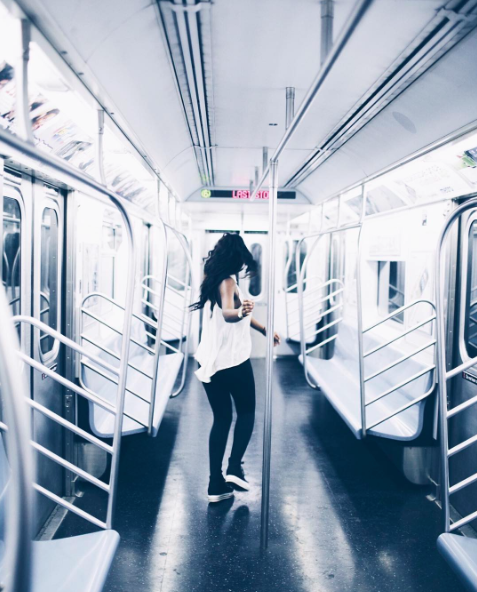 We spoke with Asia about her creative vision and her innovative workflow. After spending time with her, Asia shared how she is able to strike a balance between her artistic taste and managing the creative vision for Bunch. She is the epitome of creating what you love and trusting your gut. Explain your thought process behind designs? What is your starting point? Asia: When approaching a new spread in Bunch, I usually gather all my assets first. That usually includes all the images and written content. I then go through and select which images are the most beautiful and relevant to the text and then I dump all the text on the page. Depending on if it is text heavy or very light text determines how much space I have to play with image size and layout design. I have guides set up for each layout so that I can’t totally get off course from what we normally do, but I like to play around and see if I can make a layout more intriguing than the last issue. Bunch is a beautifully designed magazine. What is your inspiration? How do you manage it? Asia: Thank you! I’m very inspired by minimal design (I know…so cliche), but I also love the idea of our magazine being something that you dive into. That’s why I try to emphasize compelling imagery and minimize the dominance of the text on the page without losing it (we obviously want people to read it). To be honest it’s really hard to manage it when working with so many different contributors. I’m very strict about what I let get put into the magazine and even though I can’t always have my way I do whatever I can to keep the aesthetic consistent. I also heavily trained my intern and I don’t know what I’ll do if she ever leaves me. How do you keep track of your workflow and productivity? Asia: It’s really hard since we’re such a small team and everyone has their hands on every part of the magazine process. But the app Asana is our best friend!! It makes things so easy to keep track of and what other people are working on so everyone has an idea of what’s going on. For my personal productivity, I use the pomodoro method, which I learned about in Bali. It’s where you write one task per sticky note, then work on only one task for 45 minutes straight with no distractions. Phones are away, no extra tabs (especially email) are open, and once you’re done you get to take a 15 minute break where you have to get up and you get to throw away the sticky. I try to do this in 5 hour blocks when I have a lot of desk work to get through, but I haven’t quite perfected the routine yet. As a designer what is the most important aspect of constructive criticism and how do you keep it positive? On giving constructive criticism: even if it’s a pain to your professional designer eyes to look at improper design, unnecessary comments are just that…unnecessary. If you genuinely want to help someone get better or see design evolve as a whole and build a community, address exactly what they did wrong or how you think they can improve. Then go a step further and give them a resource or share your knowledge. Little comments like “oh my god you don’t know this…” are discouraging and prevent future questions from being asked, and nobody grows. Even if you’re 10 years more experienced you can learn something from a very new designer and vice versa. On receiving constructive criticism: don’t take anything personally. You have to learn to look at it as a positive thing so that you can grow as a designer. If no one ever told you the truth you would never evolve. I personally love when people tell me something is off or wrong (in a nice but direct way) because that means I’m about to grow in that area of design. Put down your ego!! There’s no room for it. Was there a switching moment in your career where things started moving the direction you wanted them to go in? Asia: There wasn’t an exact moment where I felt things shift. Though, in retrospect, I realized that all the moments I genuinely followed my gut and went after what felt good are the small decisions that actually paid off huge in the end. For example, when I first started with Bunch I was just an intern, but because I genuinely loved everything about the magazine and consistently had new ideas and wanted to take on more responsibility it naturally evolved into where I am now. The key is to just continue to be really honest with yourself about what you truly want (not what you think you should want) and start doing that with no judgment of yourself. Did you always think you could be a designer? Asia: Not at all! I actually had no idea what graphic design was until a year into my major. In my defense, it was called Visual Communications at my school and the description of it was “can work at a magazine” so there were no other question for me. I never knew that what I loved so much about magazines was the combination of images and text, which was something called layout. I also never realized that what I was so drawn to in a lot of different visuals were the principles of design working together. I stuck with it because it was the most challenging yet rewarding thing I’ve ever taken on and at some point I became addicted and couldn’t see the world separate from design. What were your biggest dreams as a child? Asia: As most children my dreams changed every few months. The ones that stuck with me for the longest were to be a writer but once I discovered what a film director was, it was over from there. I remember watching movies over and over again critiquing what angles I would’ve gotten and constantly made music video treatments in my head. Up until deciding what college I wanted to go to I thought I was still going to become a movie director (who knows it still could happen). Because the school I chose didn’t have that as a major, I went with the next best thing, Visual Communications. What are the top three mistakes you see designers make all the time? 1. Non-designers thinking that they know what they’re doing. (No seriously, it’s just a pet peeve). 2. When designers approach design only from a place of aesthetic, not from a problem-solving perspective. I call these trendy designers. They’re the reason why minimalism has become such a cliché. Asia: To me, success is defined by being able to live your life as authentically as possible while motivating others to live into their purpose as well. With that said, when I get paid to travel the world, indulge in other cultures and only create work that serves our world a strong purpose, I will feel successful. Do you have any tips for collaborating on a project? Asia: Just have fun with it. You wanted to collaborate with this person for a reason, so go in with a curious and explorative attitude and let things flow. Focus on the process of the project oppose to the outcome. When you get to hear how the other person thinks and approaches things that can enrich the experience way more than the final product. 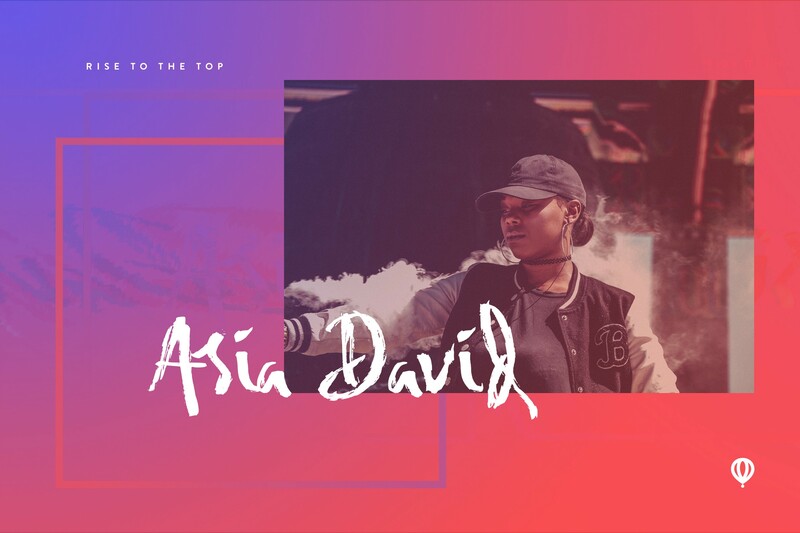 Discover more about Asia and her work on Splore: @asiamdav. You can also follow Asia on Instagram and Twitter. Find out more about Bunch Magazine at http://www.bunchmag.com. This guest post was conducted by J+J. Find out more about J+J at www.janueljohnson.com and follow them on Instagram and Twitter.